BitcoAdz: Simple way to monetize your website! Coin Media allows ads for individual sites and small publishers. -Place your Ad Message to the desired websites. -Pay only for unique visitor views. -Purchasing an advertising package valued 0.01 BTC you will get 0.0002 BTC to your advertising balance daily during 100 days. -You will increase advertising campaigns budget by 100% without spending own funds. -Need additional source of monetizing your content? Set up an Ad Message on your website and let advertisers put their ads on it Let BitcoAdz work for you! 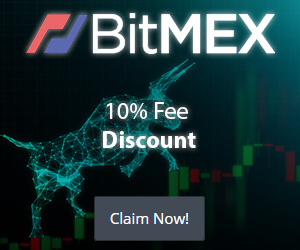 Bit Media: is an advertising platform, which is created within Bitcoin community. Simple to use Ad network with a large volume of traffic. This ad network is for banner and text ads. -The highest rates of conversion and quality. -Place the code on your site. Start earning Bitcoins! -The highest bid per click in a niche is often more expensive than Google AdSense! -Easy system to view and analyze statistics. Anonymous Ads: is an advertising network that doesn't collect personal data. -Buy Advertisements with Bitcoin anonymously. -Select from a wide range of traffic sources and websites to place your Ad. -Create your Ad unit in 30 seconds, no registration needed! Mellow ads Leading bitcoin advertising network. CPM Campaigns, CPC Campaigns, Network Campaigns. Instant performance statistics available showing view/click totals per day for your campaigns. CPM Campaigns allow advertisers to buy a specific number of unique views from your ad spaces. CPC Campaigns allow advertisers to buy a specific number of unique clicks from your ad spaces. Network Campaigns show adverts from the network of advertisers, to ensure your ad space is always fully utilized. Claim 1,000 satoshi to 10,000 satoshi - every day! 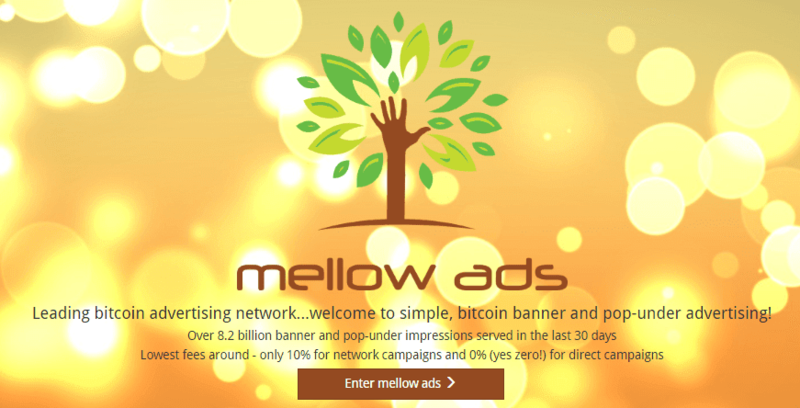 Mellow Ads faucet allows you to claim free network advertising credit, once every 24 hours.